What is the best way of letting your former team know that benching you was the wrong decision? Exactly; by stomping them ruthlessly. This is exactly what Overwatch tank player Chan-Hyung ‘fissure’ Baek had in mind last weekend. Spending stage one on the bench as part of London Spitfire, he got his revenge by taking the team from London on with his new team LA Gladiators and completely dominating his former teammates. Feeling like a Gladiator, Chan-Hyung must have felt the lust for glory in the arena, throwing London into the sound. Who were the winners of OWL stage one. Ofcourse it was a team effort with LA DPS’er ‘Asher’ Choi harassing London without giving them a moment of peace and using Tracer to infiltrate their backline like a ninja. Disrupting London over and over again with well placed pulse bombs. The Gladiators made the performance from London on the first and second map, Lijang Tower, look almost childish in comparison. Though it has to be noticed that London was playing with a B squad, composed of members mainly from a dismantled Korean team called GC Busan. They played like London, but it looked like a London in slow-motion. On the third map, the Londoners intervened by switching to the regular team. Among which KongDoo Panthera; Fissure’s long lost friend. But it wasn’t enough to stop the Gladiators from LA on the third map, despite some awesome plays like a devastating Reinhardt/D.va ultimate combo. The third win was enough to convince the world that this wasn’t a fluke, but it was an outcome few on MasterMazuma saw coming. Even though London took the 4th map and regaining some of their glory. LA Gladiators are at 4-2 this season, making them a surprisingly serious contender for the lead of the pack. Until now they were usually seen as the outsider. Things just seem to fall into place for the Gladiators. The recent addition of Fissure is just further proof of that. 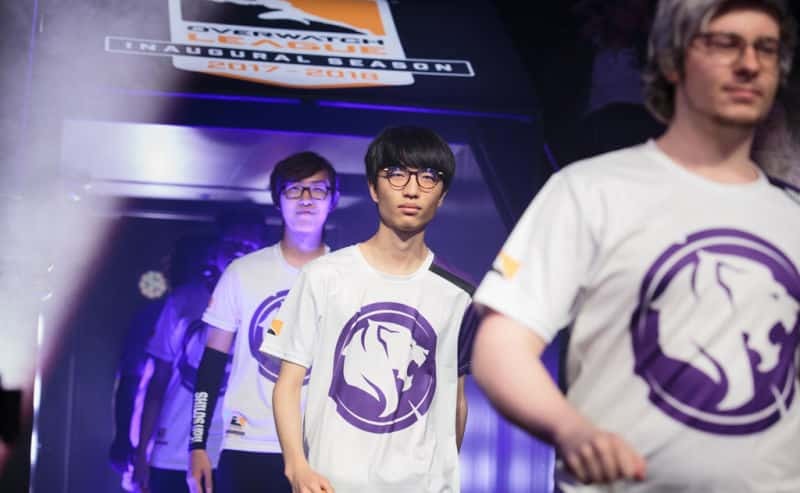 Though there was no hatred in this revenge; Fissure hugged his former teammates as soon as the match ended. Next Next post: Fortnite is rising in popularity. How is Blizzard gonna react?